We've arrived at 9 o'clock and the Almudena Cathedral. The name refers to the Virgin of Almudena, which is interesting because that name comes from the Arabic al-mudayna or fortress. An ancient Muslim fortress was just about here, overlooking the river, but the cathedral is very recent, begun only in 1883 to a design by Francisco de Cubas. 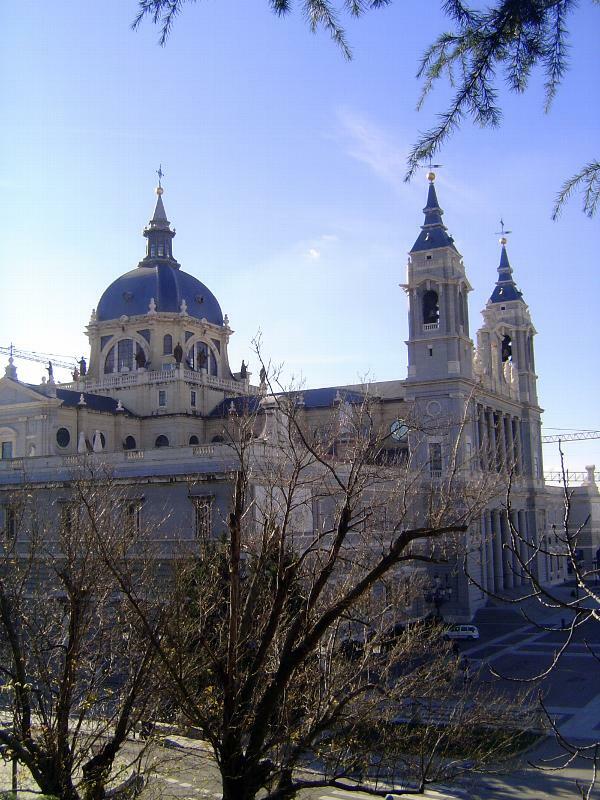 Work was halted during the Civil War and not resumed until 1950, when Fernando Goitia (the author, historian, and architect) modified the design to more closely match the Royal Palace, which stands opposite and faces the cathedral. It's hard to believe that the building was not completed until 1993.